There is little debate over whether advanced driver assistance systems (ADAS) could reduce both the number and severity of vehicle crashes. 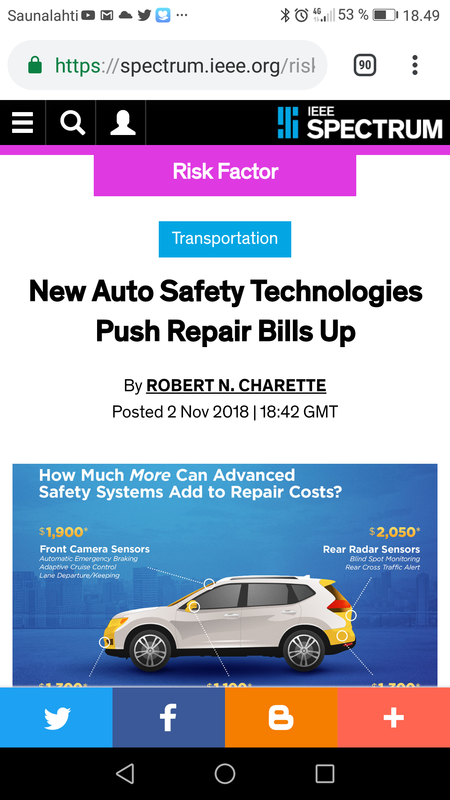 Infineon Technologies, NXP Semiconductors and Microchip Technology are among those building hardware security into chips as car manufacturers move to remotely upgrade the hundreds of millions of lines of code inside vehicles, similar to how smartphones are updated. They are also adding security to microcontrollers and other chips used to send messages around the car using Ethernet, CAN and other technologies. each other and the cloud—and giving electronic control units (ECUs) the ability to share the same information—also raises the possibility of car-hacking. The camera and display system is designed to address a growing visibility problem on vehicles that need widened front pillars to meet mandatory safety test standards.